"Moving Out of the Age of Darkness..."
LauraLee - Welcome to Conversations for Exploration. Hi, I'm your host LauraLee. The Vedic texts talk about world ages - going from the golden age to the dark age and back again, so where are we in that cycle? Feels like the dark ages I know with all that war and violence going on. The Vedic texts would or would not surprise you, written so many thousand years ago, they contain so many clues to advanced technologies and advanced scientific concepts. Our guest today is Prash Trivedi, an astrologer who now lives in South Wales, but grew up in India surrounded by these texts. And he was reading these vedic texts from a very early age. He says that you can find clearly stated what we would call today the principle of relativity, what we would call today aviation and aerospace right there in the vedas and much much more. Prash, hello and welcome! Prash - Hello Laura Lee and thanks for having me on your show. LauraLee - Let's start with the world ages. Can you explain what the ancient Vedic texts say about them, how they describe them. What derives one age to the next, to the next, and where are we in your estimation? Prash - The most important thing which the vedic texts say about the last 5000 years is that we are living in Kaliyuga, which translates into the Age of Darkness. It started around 3000 years ago by my calculations. Of course there are a lot of scholars out there who have different opinions but this is my opinion of it. LauraLee- And how do you calculate that? Prash- That is because a great war took place around that time around 3102 B.C. which is very clearly documented in the Vedic texts. One of these Vedic epics called the Mahabharata clearly documents this war, and that's what I base my calculation on. Prash - Yeah it is the fourth age of the Sun. They call it the fourth Age of the Sun which lasts for 5000 years. Similarly the vedic texts say this age lasts for 5000 years, from 3000 BC onwards. LauraLee - And when do we get that turnaround and back on up on to the upswing? Prash - The transition periods are always 100 to 200 years. There is no one specific date, like Mayans have a specific date like 2012 AD where their calendar stops. There's nothing like that in the vedic texts. LauraLee - They are slow moving cycles..
LauraLee - So you could look around and say it's as bad as it's going to get if your calculations are correct. Prash - Yes. The thing is that the times right now from 2002 to 2012 are very important because there are two other cycles converging right now. LauraLee - And what are those two other cycles that are converging upon us.? Prash- The first thing is that the winter solstice is harmonizing with the galactic centre. Any astronomer knows that our galaxy has a centre which they place at around 6 degrees Sagittarius, the sign Sagittarius. The winter solstice as we know happens on December 23rd every year. The sun will be in six degrees Sagittarius at this point right now. This has to do with the phenomena of the precession of the equinoxes. LauraLee - The precession of the equinoxes, right. And what does it mean in terms of its astrological context? Prash - It means that the energy from the galactic centre can now affect us, the whole planet. That's what the Vedic texts say. The galactic centre is the harbinger of all the knowledge and wisdom for our galaxy. LauraLee - Aah, so we're getting beamed directly from the galactic centre ? Prash - Yes, basically. It is supposed to usher in a kind of renaissance right now. The truth about our role in politics, our role in the cosmos, the truth about who is actually keeping us in the dark ages etc. would come into light. In my view it is happening right now with shows like yours and there are alot of other researchers around the world who are coming up with different versions of the truth. Alot of truths in the last 10 years or so have come out in front of the general public. LauraLee- So we're getting a direct unimpeded flow of wisdom from the galaxy that will remind us who we are and what we're all about. Prash - It happens to people, through different people. Change always comes through people. It doesn't come through Gods or anything else. Prash- Yes that's what the Vedic texts say. LauraLee - The gods may inspire us but the change comes through us. Prash- Yes. It is we who will make the change. There is going to be no direct divine intervention as some have believed. LauraLee - How far back do the ancient vedic texts go? What is the information on them and how many cycles have they written about? Prash - The vedic texts basically talk about a time which we can roughly put at about 14 billion years. They start from the beginning of time when the material universe came into being. Before the material universe there was the astral universe. Before the astral universe there was the causal universe. LauraLee - We're talking about the beginning of the beginning, huh? Prash- Yes, those universes have even longer time periods than the material universe. I know it sounds complicated but the Vedic texts say there are 3 planes of existence. There are 14 realms and 3 planes. The 3 planes are astral, physical and causal. LauraLee - Describe the causal, the other two I can understand. Prash- The causal is a pure light plane. It is much, much more refined than the astral plane. It is the plane where what you would call the guiding angels and the archangels and the governing forces of the universe, all the deities from the different cultures reside..
LauraLee - Are we to understand that the physical is just an illusion? It is just a step function of something more deeper and more eternal? Prash- But it is not an illusion� Vedic texts say it is not an illusion. LauraLee - But I'm saying that we have a sense that the physical is really based upon something deeper, more eternal. That's why we have that sense. David Balm says the implicate gives rise to the explicate. ..
Prash- Physical is as real as causal. It is not to be shunned - because it comes out of the astral and the astral produces physical. The causal produces astral We shouldn't shun the physical or say it is more base. It is just because it is more dense. It is just a denser medium. LauraLee - It is still part of god's creation. Prash- Yes, so what vedic texts say is that all this knowledge is never lost in people at the soul level, but it is always deliberately kept in the dark. People are always kept deliberately in the dark. It is happening today with the electronic media. It is a mass hypnosis thing happening out here right now. We are being bombarded by all these things which have no real meaning all the time. LauraLee - And how do the ancient vedic texts characterise kali yuga? What do they actually say about it ? Prash - They say it is an age where water will be unfit to drink, air will be hard to breath, people will lose their morals, politics will be without any purpose, there will be wars and famines all over, the people will be unhappy most of the time, there will be no sense of fulfillment in people's lives which is what we see everywhere around us today. LauraLee- I'd agree with you. We are right smack in the dark ages. How do they characterise the intervening ages before you get back to the golden age? How does it describe each of those ages? Prash- The thing was is that they have periods between 10,000 to 3000 B.C. which they saw as a kind of a bronze age. Alot of the researchers have been talking about Atlantis, a civilization before 10, 500 BC (before the global apocalypse took place around 10, 500 BC.) which was in the silver age as far as the vedic texts are concerned. The golden age was around 20 to 30,000 years before that. The dark age is the smallest age. It just lasts for 5,000 years. We are lucky this period only lasts for 5,000 years. LauraLee - So there is a God. I've got a question which I've been pondering over for some time. Do you really need advanced technological civilization in the golden age or do people just operate through levels of consciousness - therefore you don't need outer toys to support you? Prash - Advanced civilization doesn't necessarily mean they are technologically advanced as well. Civilization doesn't need to be technologically advanced to be a golden age civilisation. It just means that people have more knowledge about the reality of who they are. LauraLee - And that's what characterizes the golden age? People know who they are? Prash - People know who they are. People are satisfied. People have knowledge about the universe and the cosmos. People have real knowledge, not just material knowledge. But material knowledge always follows real knowledge anyway. So they can do things which might seem like science fiction right now to us even without having any technological progress whatsoever. LauraLee- How do the Vedas actually describe that? Prash - In the Vedas if you made an atom bomb, you didn't need machinery or a metal container to create an atom bomb. A vedic sage or a high initiate in Vedic knowledge could just take up a blade of grass and convert that into an atomic bomb. LauraLee - Why would you need a bomb? Prash - You know the forces have always been fighting in the universe. The dark and the good -the light and the dark have always been fighting with each other since the beginning of time. There are always destructive forces. There are always people who want to harrass other people. So in order to bring about order sometimes wars were required. LauraLee - Even in the golden age? Prash - Not in the golden age�. on other levels, on the astral plane. There are gods and demons �all these stories in all the mythologies around the world. There are stories about wars on the astral plane which affect earth as well sometimes. What we have in the wars out here are just a reflection of the wars which take place in the astral realm according to the Vedas. Prash - Yes, it is a battle field sometimes of the gods and demons on earth. It is a completely different world view the vedic texts have from the modern western way of thinking - so sometimes it is hard to make connections. LauraLee - What is the human's role according to the Vedic texts in the plane that we occupy? Prash- It is considered the most important plane of existence among all the 14 planes of existence, because this is the only place where we can change things. We have a free will out here. We have a destiny and we have a free will. Out here everything is not fixed. We can do what we want and our actions will in turn change our consciousness. This is the only plane where we can actually change our consciousness and grow on a soul level. On other planes you don't get to do that. You might have lots of pleasures, much greater pleasures than on the earth on the other planes, but you never get to evolve on a spiritual level. So all the entities on the astral planes, whether they are higher planes or lower planes always want to take birth on earth to aid in their evolution. LauraLee- Oh I see, so once a demon they are always a demon until they get to earth and you could possibly become a saint if you work hard enough. Prash - You work hard. This is the place which is called "karma bhumi" in the Vedic texts which means action is most important. What you do is what you become out here on this plane. So even the most advanced entities like to take birth here, in order to refine themselves even further. LauraLee- What an interesting world view. How are the vedic texts arranged? I mean some are in medicine, some are philosophy, some are astrology, how does it all work? What is the thread that runs through all of them? Prash - I would like to get to some scientific things first, because some of your listeners might be interested in the scientific parts of the Vedic texts. There's a small story from one of the vedic texts which will prove that the vedic texts knew about the phenomenon of relativity. The story goes like this - "An earthly king was called upon by Brahma. Brahma is the creator amongst the trinity of creator-preserver and destroyer presiding over universal affairs. He asked him to visit him in his abode which was quite far away from earth, a distance which would correspond to many light years. The king agreed and visited the abode of Brahma and spent around14 minutes of Brahma Loka time witnessing the splendour around there. After he was done he asked Brahma to arrange for his return to earth where his family and kingdom awaited him. Brahma laughed and told him that by the time he returned to earth, thousands of years would have passed on earth. No one would recognize him and his kingdom would no longer exist. The world had already gone through many generations. This shows beyond doubt that they knew about time travel and the relativity of time and space much before Albert Einstein revealed his theory to the modern world. Prash- Lorentz was, you know the scientist called Lorentz upon whose theories Albert got his inspiration for the theory of relativity? He was reading these Vedic texts. Alot of german scientists read vedic texts. It is common knowledge now. LauraLee - And what about those flying machines? The Vimanas? Prash- The vedic texts are full of stories about interplanetary, interstellar and intergalactic warfare - in comparison to which Star Wars and Star Trek would seem like child stories. There's a vedic text called "Vaimanika Shastra" which translates into the knowledge of flying machines. This text is so amazing in its content that it can get the grey cells working in the best aeronautical expert. It clearly illustrates the point that they were privy to a detailed technological knowledge. The modern day radar seems to be a matter of fact device in these texts. There are some high tech devices in this text which haven't seen the light of day as yet. LauraLee - What do they say about them? Give us a clue? What do they say? Prash- There's a device which can make the pilot in the enemy plane go unconscious. We don't have any device like this right now otherwise there would be no need to carry million dollar missiles in the planes. They talk about non polluting, noiseless engines running with a mercury powered engine. LauraLee - Mercury is pretty toxic though, but I like the noiseless and nonpolluting part. Prash - There are weapons which put an entire army to sleep without causing them any harm, any physical harm. LauraLee - That would definitely put an end to all this warfare we have today. Prash - It would definitely save much blood shed. The Ramayana and Mahabharata are the two texts I am talking about. It's all there in black and white out there. People can just go and buy the english versions of these epics and read it for themselves. That's the great thing about the vedic texts. Everything is out there in black and white. In other cultures and other civilizations you have to go through so many vague things and imagery. There's no imagery out there in the Vedic texts. It's all in black and white. LauraLee - On a philosophical basis, do the vedic texts imply that the reason we fall from a golden age to a dark age is simply the warfare and the conflict that is happening in the astral plane that is influencing us, or is it simply that every thing has cycles up and down, it's just the way of nature�. Prash - Its' just the way of nature. Everything has a time, like even evil or darkness or whatever you call it also gets it time within the universal framework. Prash - Yes, for some time� Everyone knows, all the most learned men which were called the vedic sages knew about this. That's why they put this information in texts. Earlier the knowledge was orally transmitted. It was not written down. That's why they wrote them down around 3000 BC. At some point of time when the dark influence begins to recede we rediscover these texts and gain back the knowledge. LauraLee - Well these texts have never been lost since they've been written down. They have always been revered and read and studied, haven't they throughout? Prash - This is the best thing about the Vedic civilization. Every thing is still there. With the Egyptian civilization, the Sumerian civilization and the Mayan civilization, all the knowledge in their texts are lost. With the vedic civilization everything is still there in black and white. All people have to do is go and read them. LauraLee - What do you contribute the longevity and the continuity of the Vedic culture to? Prash - It was because everything was connected to religion, what we now know as religion. There was no word like religion in sanskrit, the language in which the vedic texts were written. The closest word to religion is dharma. Dharma basically means way of life and dharma is different for every person and every individual. It was basically saying that everyone could have their own religion, because vedic seers understood that what is good for one person may not be good for another. Every one has to have a different path of understanding things, of gaining knowledge, of reaching wisdom for raising their consciousness level. LauraLee- We need to find our own individual way. Prash - Yes, individual way. There was no organized religion in the Vedic structure, and that's the reason why all these texts were never tampered with. Organized religion always blocks real knowledge because it says that there is no other way, there's no other system. You have to follow this. So there were a lot of independent minds and thinkers throughout the last 5000 years within the present Vedic civilization, which helped to keep the knowledge alive. LauraLee- So it never got dated, it never shut down anyone's individuality �. Prash- Yes. No one can question the immense sophistocation of indian classical music. No one can question the complexity and completeness of the sanskrit language. No one can question the aesthetics and complexity of the Indian systems of dance. No matter which field of indian culture you look at - textiles, art, architecture, we find amazing refinement, complexity and sophistocation which you can't do with any other civilization. LauraLee - You must be proud to be of this culture�. Prash- No, it's not a pride thing. I found it very strange that the western world had completely ignored such a vast knowledge system for so long. British came to India in the 17th and 18th century and they came to know of all this knowledge at that time, but it was kept under the wraps always for some reasons best known to them. This surprised me, and the western world had ignored this knowledge completely. There was so much emphasis on the Egyptian civilization and the other civilizations. Of this we just have these faint, very very faint�..
Prash - �things from these civilizations�and the Indian civilization which has everything in a good working state � which has knowledge out there directly wasn't paid any attention to. LauraLee - How do you follow the same principles through�from one area. You know the principles that govern one area, and then the next, and then the next�. Prash - It's all interconnected. Ayurveda, you must be conversant with ayurveda, the healing system of the vedic texts. It translates into the knowledge system of "life". It is important to know that it refers not to the human body but the lifeforce which is connected to us on all levels of existence. It does not involve poisoning the body to cure illnesses. It only uses natural herbs. It is against surgery and it has no side effects. This system which is still out there in all its completeness has been completely ignored, and allopathy, which uses surgery, which has side effects and which has so many problems� that is implemented all around the world right now. LauraLee - You know I did see a documentary where they had a Vedic doctor analyse someone. They took 3 women who had cancer and they had done these western tests so they knew what the conditions were�and didn't tell the doctor anything. And he just did a few simple non invasive observational tests and he was able to pinpoint exactly what their condition was. He was able to prescribe some medicine, import it from India, give it to them, and two of the women got markedly improved. The third one never took her medicine so I don't think can be counted. They were comparing the ancient Vedic system of medicine to the modern Western system of medicine and it works just as good. So I think we are beginning to see the light. Prash - Yeah it is beginning to happen, but the thing I find bad is that in the western world in general, a whole lot of bogus spirituality in the guise of yoga and meditation has been perpetuated for the last 20/30 years at least. LauraLee - When you say bogus, what's bogus about what the west has got? It doesn't surprise me�. Prash - Because the vedic knowledge system was a complete knowlege system where all the parts were connected. So just putting the body into different physical postures as they do in yoga classes in the west is not going to take care of the physical, mental and spiritual wellbeing of a person. Because all the disciplines like astrology, vaastu, music and dance � Everything is interconnected. If you have to be well on all levels you have to understand everything and everything is easy to understand, if you understand one thing which is astrology. Astrology and astronomy are at the core of every science. For example an ayurvedic doctor, when he sees a person, he will first see their birth chart and what planetary periods they are running, and according to that he will give his diagnosis and remedy. So ayurveda and astrology are connected. The same goes with architecture and fengshui. Fengshui uses directions. Directions are nothing but part of astrology because they are ruled by different planets If one just understood astrology in my view, one would get a key to understanding all the systems. That's why in the vedic texts astrology is known as jyotish. The term for astrology is jyotish, which translates into the "eye of the vedas". When you have eyes to see you can see everything clearly. You can't see even the material universe without eyes. In the same way from astrology you can understand all the sciences around you. It is the central science from the Vedic point of view. Prash - Yeah, and astrology and astronomy are the only things which connect us to the cosmos. It is our only connection with the stars. This is the place where we get in touch with the universal forces and what the universal mind expects from us. If we get in touch with that, then it all becomes much clearer. Jyotish used to encompass everything ranging from psychology, healing, prediction, spirituality to everyday affairs. LauraLee - Right, because astrology and astronomy is the study of the stars and our relationship to them, so that's where the consciousness, and universal wisdom and godhead speaks to us from that source, you say. Prash - Yes, from that source. If you take a look at jyotish, the vedic system of astrology, you will find that astronomical phenomena like the precession of the equinoxes, the earth's axis, was known thousands of years before modern astronomy came to know about these things. LauraLee - How did they know? The sages just acquired through direct transmission, direct knowing? Prash - yeah because the calculations made in vedic astrology, which has been the same in the last 5000 years in the almanacs and everywhere - you find that they took the precession of the earth's axis into account, and it is quite surprising that the astrology most prevalent in the western world today, which is the sunsign astrology, which is popularized by all media, newspapers, magazines �. ..doesn't take the precession of the earth's axis into account. I will give you an example - in the newspapers it says that Sun enters the sign Aries on the 21st March, when in actuality it enters the constellation Aries only on April 13th. Even an amateur astronomer will be able to tell you this fact. LauraLee - So that's where western astrology and vedic astrology are�. Prash - Yeah, it's completely wrong! It's like playing an out of tune instrument. You can't play music on an out of tune instrument. LauraLee - How does the vedic knowledge relate to us today? You say it is still vital, it is still current, you say it's still accurate, it's all complete, and really we're just dealing with a lot of remnants and separated little bodies of knowledge that don't have the complete picture. Prash- Because I've seen in the western world most of the emphasis is on specialization. People want to specialize in a certain field but they don't want to go into other fields or encompass everything. But the vedic world view was different. They wanted everyone to know every field, have a little bit of knowledge from every field. And they wanted them to know the source. All I say to people is that if they just learnt vedic astrology they would start to see the world in a different light than they have ever seen. I will give you an example - People do not know what is happening to them at a particular time in their lives. People talk about midlife crisis. There are so many things in the western world which go under the garb of psychology and stuff like that. And all these answers lie in vedic astrology, like what happens to a particular individual at a particular point of time, it is all written in the stars, as they say. LauraLee - It's one thing to read this knowledge and understand it intellectually. It's another thing to experience direct knowing, to commune with the gods, to connect with the life force, the consciousness there. So what were some of the practices that the vedic texts still relate in terms of practice to expand one's consciousness? Prash- That relates to the kundalini. In the base of the spine of every human being there lies the life force. It's called kundalini. It has been known by different cultures and different civilizations. In the sanskrit language it is known as kundalini. You were supposed to open this force up and make it travel through the seven sacral centres which lie in the human body at the same place as the glands lie in the physical body. There are seven main glands and the vedic texts say you have to raise the kundalini up to the crown centre to establish communion with the universal mind - the seventh highest centre where our physical brain is located. It is a thousand petalled centre known as Sahastrara. You were supposed to open all the petals up and each petal represents a particular part of knowledge or consciousness inherent in the universe. This was the process the ancient sages were using to connect their antenna with the universal mind. LauraLee - So when the golden age was in full flowering, what was it, say 30,000 years ago�. LauraLee - Our archaeological record or what's left of it shows that people lived very simply, but they really had �. Prash- They still had the knowledge, like knowledge about the astral and causal plane. Reincarnation was not a problem with them. Dying was not a problem with them. For them it was just like changing clothes. LauraLee - Would you call shamanism then, the ability to negotiate, to travel to alternate reality through consciousness, a remnant ability of this time? Prash - Yeah, it's just travel into astral planes. There's nothing deep about shamanism in my view if you look at it from the vedic angle. Because it is the ability to go through the astral plane which all of us go through in dream state anyway. LauraLee - What do the archaeological records show of 50,000 years ago in India when these sages were practising this? Is there anything left? I know India�. Prash - No, no. The thing is that you won't find anything archaeologically for these kind of things. There's been so much fight amongst the geologists and archaeologists over the last 20/30 years about everything, that you can't get to a single conclusion about anything. A lot of people are saying that all the skulls found, about the apes - Darwin's theory of evolution - all the skulls found for that were all frauds. That's the new thing which is coming up now. In fact one of these vedic texts called Ramayana told that the apelike creatures and fully advanced human beings lived together around 14,000 years ago. It is completely against the Darwin theory of evolution that man evolved from apes. Prash - Yes, we were existing together - like aborigines are existing with us right now together. And there were so many apelike creatures which were existing at that time. Prash - and the things like we received genetic help from demigods� It was pretty clear in the vedic texts that human beings were created, specially created on this planet. It just didn't happen by natural selection or an accident. LauraLee- Why are we so special? Prash - That is the reason why we are special. Because in the human form we have the greatest potential for expansiveness. Even the beings on the higher planes are very eager to take birth as humans. LauraLee - So is this the reason why there are 6 billion people on the planet today? A hot ticket to be here? Prash - Yeah, because alot of them are coming from the lower animal forms as well. LauraLee - That explains a lot. Prash- Everyone is getting a chance right now. If you go to countries like India or south east Asia people are living like cockroaches, in slums. They are not at the human level of existence. In Africa , and if you go around the world, alot of people are living in subhuman conditions on this planet right now. Prash - Yes, because alot of souls who won't get a chance in any other age to incarnate, are getting a chance to incarnate right now. This is their opportunity. LauraLee - So you say this is a special time. So what does that mean? Is there a fork in the road? Can we either blow it? Go to the renaissance or blow ourselves up? Or is it a sure thing that we're going to start the upswing, enjoy a bit of a renaissance here�or is it really up to us? You said the gods may inspire but it's really up to us.. to act�. Prash - In my view we will go through a renaissance. Even if there are alot of wars, alot of destruction, it doesn matter. Because renaissance is an internal thing, it's a mental thing and it doesn't relate to physicality that much. What happened in the late 60's in the west was a kind of renaissance in my view. Some say it was because of the Vietnam war, some say it was because of LSD. Prash - The summer of 1967 which we all know was called the 'summer of love' - the energy was good at that time, which you can see from Astrology because Jupiter, the greatest benefic among planets was in its most favourable sign Cancer at that time. In my view this was a time where alot of awakening happened in the west and alot of research into the ancient civilisations, which is happening right now, was being carried out by the same people who in their youth underwent some transformational experience in the 60's. LauraLee - They got hit by those cosmic rays or something right? Prash- Yes, but this was only a trailer. In my view the real movie is only just about to begin. LauraLee - What do you see for the future and what when you look at the astrological charts for the world in general do you see in the next few years ahead, Prash? Prash- The thing is that Jupiter moves into Cancer in June this year and I think this will usher in a 12 year cycle which will end around 2014, where alot of knowledge will come out from the past. People will start looking at the ancient civilizations and all this will become more common knowledge among the masses in general. Right now it is an alternative thing. All these things are called alternative. Your talkshow is an alternative talkshow, it's not main stream. We will see in the next 10 years all these things will become mainstream. That is the revolution which will happen in my view. That is how the planets are moving, with a grand conjunction of 5th May 2000 and Jupiter is getting into Cancer on June 2002. LauraLee - You mentioned that there were three major cycles converging. One was the winter solstice aligning with the galactic centre. One was the end of the kali yuga. What was the third one? Prash - So at spring equinox every 2000 years a different sign rises� on the spring equinox on sunrise. At 21st March if one goes and stands at sunrise and faces the eastern direction, the sun will rise in a different sign every two thousand years. So whatever sign sun is rising at that point of time is the age at the time. LauraLee - So according to Vedic Astrology what does the age of Aquarius bring? Prash- Aquarius is a sign of enlightenment. But it is a sign of enlightenment in a different way from Pisces. It is enlightenment through knowledge, not belief. People used to believe in things like god and religion �people have been believing for the last 2000 years. Now they will know. The difference lies in knowing and believing. It's time to know now rather than just believe. Prash - Yes, it's not just that because I am saying all these things, people should just believe me. They should go out and do their own research - read these Vedic texts and find things out for themselves - whether what I am saying has any grain of truth in it. No one should take anyones' word. That's what this age is about. It is about enquiry. People have to develop a sense of enquiry and that 's how things will change. LauraLee- Okay, you're suggesting we all pick up the vedic texts and begin reading them. Are there better translations into English than others? Who would you recommend? Where do you start? I mean how many texts are there�. Prash - I always recommend the comics first. LauraLee- Oh I've read the comic book. I was sick for a week one time years ago and my friend brought a stack of the comic books from India and �. Prash - Yes, Amar Chitra Katha comic books. They cover most of the vedic texts. LauraLee- One comic book would be about Hanuman, so you'd read from his perspective and then you'd read the next book and Hanuman was one of the characters from another character's perspective �. It was a great way to be introduced. Prash - Hanuman was one of these apelike beings which existed at that time, who had an ape face with a human body, which are what the modern science are saying Australopithecus and ape men were. They forget that human beings were existing at the same time, completely formed. I think this knowledge is known in the higher circles of society today ...the people who are in the power but they just don't want to give it to the masses. LauraLee- Michael Cremo and Richard Thompson wrote a couple of wonderful books about forbidden archaeology and all the evidence - that there were anatomically modern humans going way way way way back and all the other skeletons that were��showed we were cohabitors..
Prash - At least 2 billion years. We have been here for at least 2 billion years, that's the conclusion I have reached after reading the texts. LauraLee - Wow. So after the comic books, then where do you start in the text? Prash - I think vedic astrology is the best way to start. The renaissance that will happen, it will happen through astronomy and astrology. People have to start looking up at sky in my view. LauraLee - Is that what inspired you? Were your other family members Astrologers or was it really go to where your�. Prash- No, No.. I had normal scientific and technological education. I went through the routine. But I started reading vedic astrology which opened up alot of other things for me. Astrology is like a key which will open so many other doors for you. That's why I suggest people get into Vedic astrology. I have a course now which people can do. It's on my website. It can hardly take them 20 to 25 days to go through it, the basics of it. LauraLee - Oh, so you've made it easy for us, thankyou. Prash - Yes, it's like for absolute beginners who don't know anything about astrology. We all need to become astronomers. We all have to start looking up at the sky. We have to start looking at all the signs. We have to know all of the stars. We have to know how they relate to us. LauraLee - relate to us and speak to you directly�. Prash - Yes, we have to start connecting with the cosmos - and astrology and astronomy are the keys to it. If we go and understand these two things the rest will become clear to us much easier. I wouldn' t even need to have this conversation with you right now if everyone knew Vedic astrology, that's my view. And people won't be asking questions like - Why is this happening to me? Why am I depressed right now? People would know about themselves. LauraLee - What can you do about it? 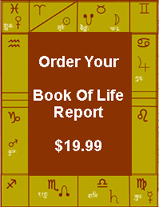 When you look at your chart and you see Oops, a rough patch, what can you do about it? Prash - Preknowledge gives you that ability to sail through things with dignity and grace. When you are prepared for something, when you are mentally, spiritually or emotionally prepared for things, you act like a different individual than an individual who is not prepared for what is to come. Life is no longer a mystery. Vedic Astrology is so precise a science, it can nail you down to seconds. It can tell how your exact minute will be, what to talk of a day or hour. It's a very exact science. It is a vast science. Prash - Yeah, and it's more complex than quantum physics in my view. Prash- I have a technology degree basically. I did my bachelors of technology and I found that all the sciences were nothing compared to this science and I want other people to go into it and find it out for themselves - whether there's truth in my words or not. Basically I would like people to start looking at the sky and trying to connect with it . That' s what my message is and vedic texts will provide them a sort of a lens through which to see the sky. Prash - I understand that, I understand all that, but see, i can understand the music of Jimi Hendrix or Jim Morrison, or the other people who came up in the 60's. So if I can make the transition then people in the west can also make the transition and understand that point of view as well. LauraLee - They made them good and entertaining reading to get people to enter there at all. They were smart too. ..
Prash- Yes, they are entertaining reading. Once you take up that book, you won't like to leave it until you finish it. LauraLee - This is the book with Arjuna who had to decide whether he wants to fight or not right? Prash - Yes that one, it has got so many things in it. It has got television in it. It has got remote viewing in it. LauraLee- Remote viewing? Oh tell us about that. Prash- When the war is taking place, one of the kings who was not taking part in the war, wanted to still know about the war, what was happening in the war. So he had a courtier who acted as a remote viewer for the war and he told him all the stories about what was happening in the war just sitting in the courtroom. LauraLee- It doesn't surprise you then that people are turning on these psychic abilities naturally and with a little practice? Prash - They have always been there within us. Right now internet has become the medium of expression - communication and expression all over the world because it's technological. If the same amount of effort was spent on, say telepathy, we would all be talking telepathically by now. It's just where we put our energy into. We put our energy into technology these days. If we put our energy into these other things, a completely different civilization would come up. LauraLee - What do you do for a spiritual practice? Prash - The most important thing for a spiritual practice is to understand and to regulate your kundalini, the flow of energy within you. LauraLee- What do you do, do you meditate? How do you raise it? Yoga or various disciplines? Prash - See, the point I was talking about before comes up. What is relevant for me won't be relevant for other people. The way I do it, that can't be applied to other people. Everyone has to find their own way. LauraLee - What's the key to finding your own way? Prash - Astrology and astronomy, because Astrology is the only thing which will tell you who you are, what suits you the most. LauraLee - So it can also prescribe for you some of the better pathways that would fit your frequency. Prash - I want people to find it out for themselves, how to raise their kundalini, what to do. People shouldn't be told what to do. They should have their knowledge to find it out for themselves - the tools. Astrology and astronomy are tools which can help them find out what to do, rather than me or someone else telling them - "Oh, this is how you do it". If it works for me doesn't mean it will work for them because they are different individuals. They have a different path. They have had thousands of lives which were much different from my lives. We have all had different experiences in our previous lives which make us all different. Nothing is the same in the universe. No two leaves are the same. So what will apply for me may not apply for anyone else. So that's what my thing is, that people shouldn't believe religions or any such things, unless it comes from them, inside them. They have to learn to know who they are. Prash- The thing is, is that you require certain tools to do this, which have been taken away from people in the past 2000 years especially. The real dark ages happened in my view in the last 2000 years especially. People have lost touch with who they are. That' s the cause of the whole problem in all the present day civilizations. People are completely clueless about what their purpose is in life, what they are here for. These are questions which they should have answers to and astrology and astronomy have the answers in my view. Prash - Dark forces ... it's all media. It has been novels, and then it has been literature,and then it has been turned over to television and now it has been turned over to the internet. All that this media thing has been doing for the last 100 years is brainwashing people to stop them from asking the right questions. All these different things, politics and sports etc. is just entertainment so that people don't think. There are some forces on the planet who don't want people to think for themselves. They want to keep them entertained through movies, or sports or news or whatever. The key point to all this superstructure we have built around us is that people shouldn't have time to think - 9 - 5 jobs, everything which has been created is being created to keep people away from thinking. LauraLee - And displace our real vocation�. LauraLee- People who are interested in becoming astrologers and astronomers, what can the stars say to us through that? Prash - I have been teaching alot of people astrology in the west since I have come here and they are no longer the same people they were. LauraLee- How do they change? Prash - Because after that, they don't ask questions. They offer solutions. They begin to understand everything. Nothing is a mystery for them anymore. They begin to know what is happening and the why of what is happening. They know about their past. They know about their present condition. They are to a certain extent aware about their future condition, and so they are very satisfied individuals. They are not living in the mad rush world which most of the western world is living in right now. Even in countries like India the rat race is there for everyone to follow. LauraLee - yeah, established voices - so we can all have a conversation, we can all rethink our position on�. LauraLee - At least we have fun going exploring and talking to you and all of our other guests , much appreciated. And Prash thanks so very much. That was Prash Trivedi. I'm LauraLee. Thanks for listening. Prash's Book on Lunar Nodes!